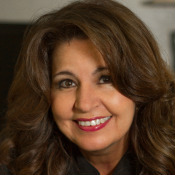 Cheryl Kramer moved to Tucson in 1987 to attend the University of Arizona where she received her B.S. in Molecular Biology and her Masters in Business Administration. She worked at the Arizona Cancer Center for 13 years before becoming a full-time stay-at-home mom. 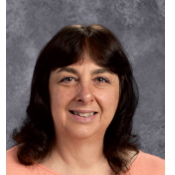 Since then, Cheryl has worked as a school secretary, interim school principal, substitute teacher, math tutor and PTO treasurer as well as being involved in numerous volunteer activities. Cheryl and her husband, Ken, have two daughters. She is so excited to be part of the FCA family and loves showing the students how God can be found in math. Psalm 139 is her life Bible passage. Mrs. Kramer will be teaching high school Algebra 1, Algebra 2, and Environmental Science. Mrs. Timblin was born and raised in Liberia, W. Africa, as a missionary kid. Laurel graduated from Piedmont Bible College in 1992. She is also a Registered Nurse with experience in a level 5 Burn Unit. Laurel and her husband, Paul, moved to Tucson in 2004 to serve as missionaries with UIM Aviation. They have 5 children. Since 2008 Laurel has been involved in starting and building Faith Christian Academy. She has had multiple positions on the School Board and served as Administrator from 2009 to 2018. "I love being part of FCA, where children learn in an encouraging and challenging environment, where a life lived for Christ is the central focus and drive to succeed. Mrs. Irizarry and her husband Joe have three children and two grandchildren. 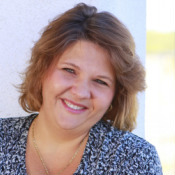 Lucy has experience in office management, presently assisting her husband Joe in the running of their own business. 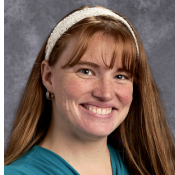 She has worked in the education field as a bi-lingual teacher&apos;s aide, a Spanish and History teacher, and as a Special Ed Administrative Assistant. Lucy has been one of the founding members of Faith Christian Academy since 2008. She has held multiple positions on the School Board and is now the Administrative Assistant and Finance Manager at FCA. 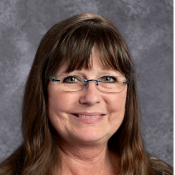 "It has been a true blessing for me as well as my family to be part of FCA"
Mrs. Osterbaan is an ACSI and AZ State certified teacher. 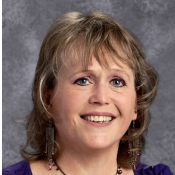 She has been teaching for twenty years, ranging from Kindergarten to 9th grade with most of her teaching experience being in Christian schools. Naomi has two children and a husband who fully supports her teaching at FCA. "Being at FCA is a pleasure. Students are eager and willing to learn, parents are supportive and friendly, and it is a delight to work with the staff. The atmosphere at FCA is Christ centered and I feel honored to come each day." 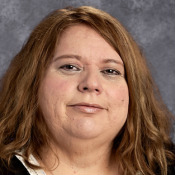 Mrs. Osterbaan teaches Language Arts and History. Mrs. Seals was born in Wyoming; however she has lived in Tucson since she was 18 months old. She and her husband Randy have two daughters and two granddaughters. Leisa studied music for three years at the U of A. She focused on History and Art for four years at Pima college where she earned her Associate&apos;s Degree in General Studies. Her heart&apos;s desire is to serve God where she can freely share her love of the Lord. "The Lord opened the door for me at FCA, and I haven&apos;t looked back. I am grateful and priviledged to have this opportunity." Mrs. Misty Ried was born in NC and moved to Tucson in 2008 with her husband Ben. Misty received her Bible training from Word of Life Bible Institute in 2000. She has six children and loves cooking. Misty is passionate about sharing God&apos;s word with youth today. She chooses to be part of FCA because "it allows students to grow in their faith so they can be all God has called them to be." Mrs. Ried teaches high school Bible and is our school Guidance Counselor. Ashley McKinnon moved to the Tucson area in 2015. She has been married for 20 years and has 5 children. She attended William&apos;s Baptist College and University of Maryland University College with the intent of earning a Communications degree before becoming a stay-at-home mother and eventually a homeschooling parent. In 2006 Ashley became a born again Christian and fell in love with the Bible. She homeschooled her children for 5 years before teaching 4th-8th grade students at Calvary Chapel West Homeschool Co-op in Tucson for a year. She joined the FCA staff in 2016 as one of our Bible teachers. She is "humbled and blessed to be able to share GOD&apos;s truth to the middle school students at FCA." She hopes to continue to pursue her education goals in the near future with an emphasis on education and religion. Mrs. McKinnon teaches 6th and 7th grade Bible. Mrs. Lisa LaRoque is a Tucson native. She and Chris were married in 1990 and have three children and one grandchild. Lisa has Associates degrees in Early Childhood and General Science. She has been teaching in Christian schools since 2008, ranging from Preschool to High School classes. Lisa joined FCA in 2017. She loves being able to share Christ with her students along with the academics. Lisa teaches middle school Math and Science. 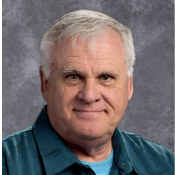 Mr. Purdy teaches High School Language Arts, History and 8th Grade Bible. Mrs. Lisa Lewis is a third generation missionary kid who was raised in South America. She attended Bible College at New Tribes Bible Institute where she met her husband, Kevin. They were married in 1986 and have three grown children. Lisa has her Bachelors of Intercultural Ministries and Cross Cultural/Linguistic training as well as training in Phonetics and Literacy teaching. Lisa served, alongside her husband and children for 23 years as missionaries in Colombia, Venezuela, South America and in Mexico. She has a heart for the Latinos and a passion for all people to come into a relationship with Jesus Christ. 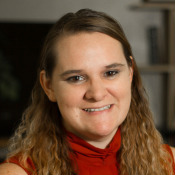 Lisa moved to Tucson in 2015 where she and her husband continue serving the Lord in ministry. 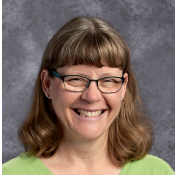 Lisa has been at FCA since 2017 as our Spanish and ESL teacher. Her desire is to be used of God in the lives of the students, while teaching them Spanish.